Data is moving to the cloud, and according to Gartner, more than $1 trillion in IT spending will be directly or indirectly affected by the shift to cloud during the next five years. 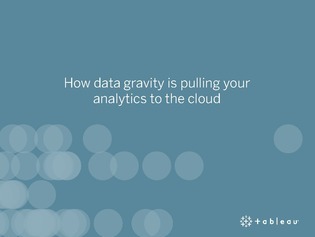 So what is going to happen to data analytics in the cloud age? Explore this resource to find out how cloud strategies are impacting data management, and learn about the growth of hybrid data analytics.